Personal artworks that I’ve produced have appeared in website and magazine features, television series and a gallery exhibition in New York City. Magazine features include Advanced Photoshop, Photoshop Creative and Practical Photoshop. Awards from deviantart.com, photoshopcreative.co.uk, digitalartistdaily.com, and shadowness.com. 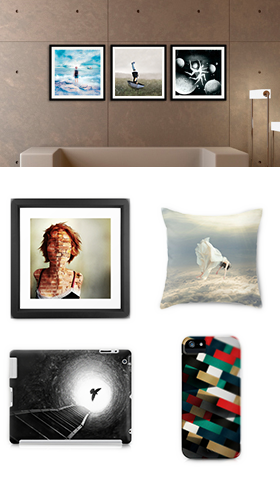 Purchase prints and products through the print store. These artworks are also available for licensing as background set dressings, magazine articles and cover artwork for albums.